Weddings, Engagements, Portrait sessions, Seniors, Family, Children, Newborns, Pregnancy and Business. HDR and custom Design artwork is a class all of its own. Our clients are taken back by our designs and the story it tells. 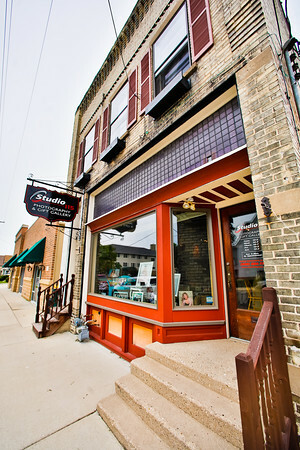 We opened our doors in May 2011. Business has been incredible! Our sessions, in studio or on location, are a combination of professionalism and a "fun-relaxed" atmosphere so we capture everything your looking for and more! We also have custom designed wedding albums, photo brag books, senior share books, family coffee table books. Keepsake boxes are perfect to hold those special memories from childhood, seniors, weddings, anniversary, any occasion. They are personalized and so much more. Our gallery wraps, clusters and metal prints have been a big hit. We Appreciate our clients and our referral program shows just how much! Wedding Special - Book your wedding with us... And choose a special gift from us! We promise... it will be a big hit and day of your wedding and beyond. Gallery Hours: Mon. - by appt. only. Photo sessions are by appointment, for more information on our sessions, referral program, commerical program and to tour our beautiful studio inside and out. Contact Kathy or Marianne at 608-884-1111. "A Smile Happens in a Flash, the Memory Last A Lifetime." Find us on Facebook... Become a friend and like what you see.